Relocation to New Zealand has never sounded as attractive as it does now with the government adopting measures to reduce general costs in conjunction with its pro-immigration policies. The move is geared towards making expats more comfortable as they find their new home in the South Pacific nation. However, it remains fundamental for an expat to compare New Zealand costs with what one currently spends in order to assess with accuracy the quality of life that may be deemed affordable. Expats should also take into account currency changes as well as varying salary levels when assessing the possibility of moving to the country once known for its high cost of living. Generally speaking, the cost of living in this country is 11% higher than in the United States and it depends on which island an expat wants to live on whereas life on the North Island is more expensive than in South Island. True enough, rentals and homes have become relatively lower than they have been in years. However, properties in the bigger cities such as the capital, Wellington, and Auckland naturally offer the highest rentals and are perfect for those seeking the cosmopolitan life. 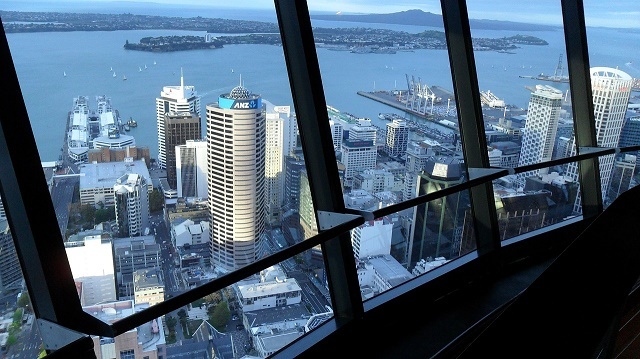 In the 2016 Mercer Cost of Living Survey, Auckland ranked as the 98th most expensive country in the world while Wellington is on the 123rd place. Large families or those who want to cut down their rental cost can consider renting outside the major cities. Expats in New Zealand are advised to contact the Building and Housing Group (Ministry of Business, Innovation and Employment) for advice on rental tenancies as well as assistance for rental agreement disputes. Flatting or sharing of accommodation is also common in New Zealand particularly among the young and single expats. It reduces the cost of the rent and the need to buy furniture and appliances. There are also a lot of boarding houses where there are shared living areas, bathroom and kitchens. The monthly rental cost will usually cover household utilities but if not, expats need to budget at least NZ 180 or USD 130 for their water, electricity and heating. In New Zealand, petrol prices are at least one-third of its cost in the UK, reason why many expatriates are comfortable with the idea of buying their own cars. Japanese brands are notably more popular because they cost less compared to anything made in Europe. Public transportation consists of trail, buses and taxis. Expats who want to save up on the cost of their daily transportation can purchase monthly or annual passes.